Description: You are bidding on a CZ 720 Reduced Length G2 in 20gaa with a 24"Barrel. Built for smaller-statured shooters, the 720 Reduced Length has a 13? length of pull and a 24? barrel, and ships with 5 flush choke tubes. The CZ 720 is a gas-operated semi-automatic shotgun built on a lightweight alloy receiver. Chambered to accept both 2 3/4? and 3? shells, making it a great choice for both upland game and waterfowl. With a chrome-lined bore and black hard chrome exterior finish, the 720 will resist corrosion after many seasons in the field. 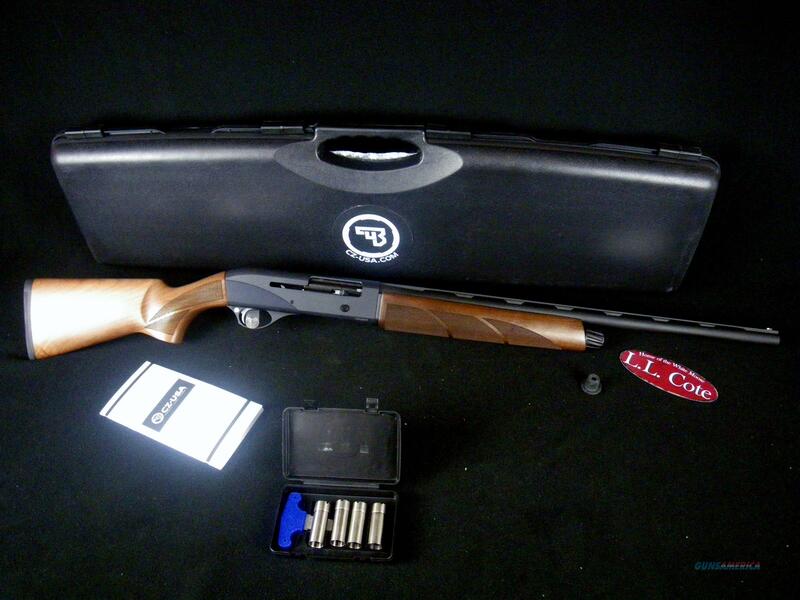 The 712/720 comes with a magazine tube plug installed for waterfowl. If the plug is removed, it gives the upland hunter a 4+1 capacity. Displayed images are stock photos. Any questions please feel free to ask (our phone number is in the additional information tab above).